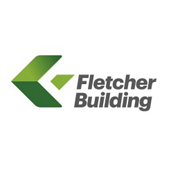 Fletcher Building is the largest manufacturer and distributor of building and construction products in Australasia, as well as New Zealand's pre-eminent construction contractor. Our 50+ businesses operate across the building and construction industries; including the extraction of aggregates, the manufacture and distribution of insulation and decorative laminates and the construction of major commercial and infrastructure projects in New Zealand. Sustainability is fundamental in the operations of all Fletcher Building businesses. Our approach goes beyond minimising the impact of manufacturing and distribution, to encompass the rejuvenation of natural environments and the sustainable design, build and environmental performance of construction projects. We seek to lead the building and construction industries toward a more sustainable future. The Sustainable Business Council is a Global Network Partner of the World Business Council for Sustainable Development.